Foot Wear (2017) – a handmade, self-published limited edition mini-pamphlet on ‘a life in shoes’. Illustrated and individually numbered. 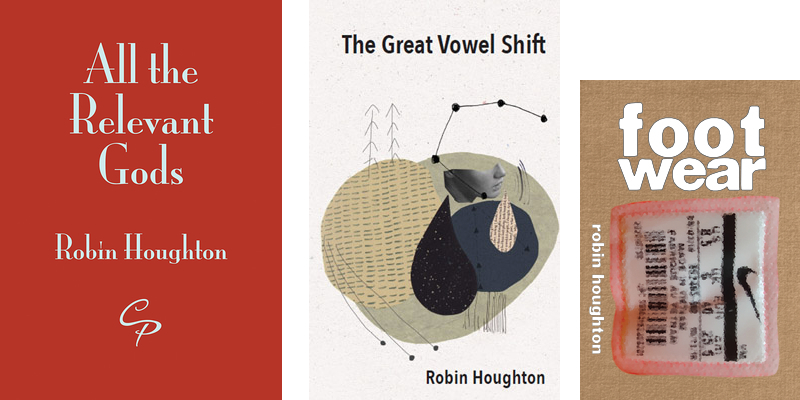 The Great Vowel Shift (Telltale Press, 2014) – a short pamphlet of poems previously published individually in magazines including The Rialto, Agenda, The North, Ink, Sweat & Tears, Poetry News and Iota. Get More Out Of Twitter (ebook, 2017) – The second ebook in a series aimed at making social media simple. Maximise your time on Twitter with a social media dashboard, empower yourself with stats, find topics and people that matter to you, creative uses for Twitter and more. How to Use Twitter (ebook, 2016) – 40 pages of all the basics you need to know from scratch. Great for Twitter newbies or if you tried it once but didn’t get it. Step-by step instructions, screenshots, insider tips and examples of really good Tweeters to emulate. 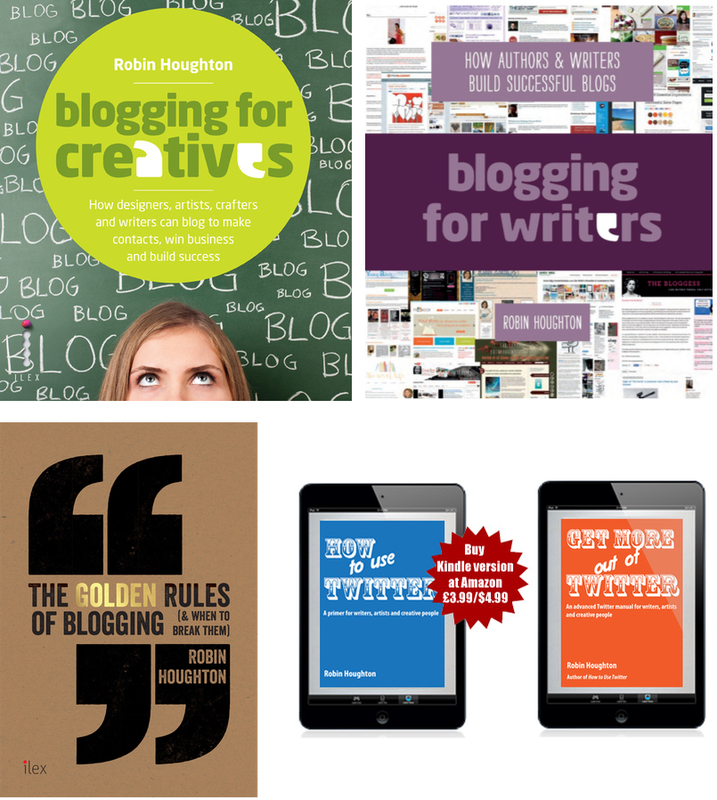 Blogging for Writers (Ilex Press / F+W, 2014) – an illustrated ‘how-to’ manual for writers wanting to blog, with examples and advice from the world’s successful writer-bloggers. 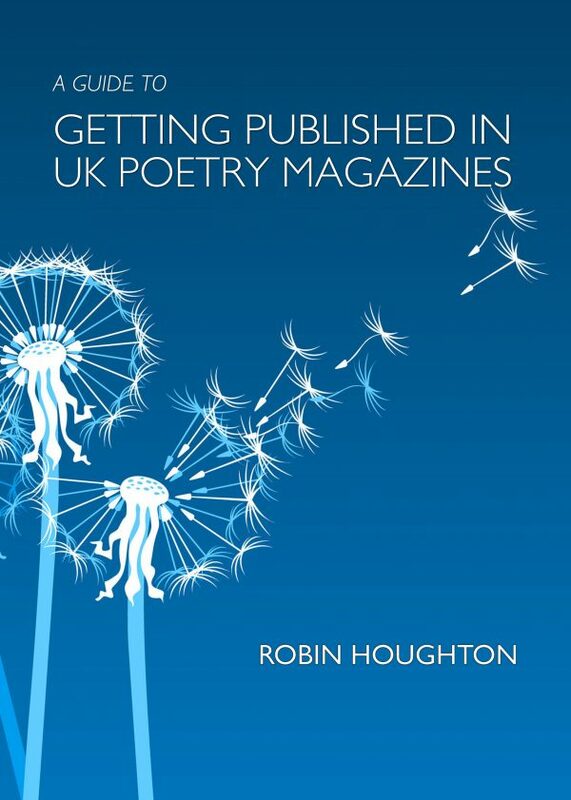 Blogging for Creatives (Ilex Press / F+W, 2012) – an illustrated ‘how-to’ for artists, makers, photographers and anyone wanting to build a beautiful blog. Loads of screenshots and advice from successful bloggers.